Ship freight from the USA by Sea. Online Freight Calculator. Are you searching for the best way to ship freight from the USA? Try this real-time online freight calculator. Get a quote on shipping Sea freight from the USA in a minute. Select Destination Country that you are shipping to. Calculate how much cost to ship freight from the USA in several clicks. Get a freight quote in email. Keep the quote on file and book your international shipment at a time of your convenience. Get shipping instructions via email. Submit essential shipping documents online. Receive your express release bill of lading in PDF file. Use open sources related to international cargo transportation from the USA by the sea on this website. Get answers to frequently asked questions on shipping freight from the USA. This real-time online freight calculator will benefit you regardless of whether you are an experienced exporter or a first-time international shipper. Watch this three minutes video on YouTube about how to get a cost of shipping freight from the USA using this online freight calculator. Having problems to find the nearest shipping freight terminal in the USA? Use the Google map. Type your address or U.S. ZIP Code (U.S. Postal Code). Zoom it out and see the nearest to you. Need to find a U.S. ZIP Code? Use ZIP Code Lookup. Do you need cargo pickup at your location? Just select an appropriate pickup option in the online freight calculator. Then, in the final step, type ZIP Code of your cargo location and get a freight price including the pickup cost. Keep in mind that the cheapest way to ship freight from the USA is to self-deliver shipping cargo to an ocean freight carrier's terminal (professionally called CFS - Container Freight Station). Such freight terminals in the online freight calculator are highlighted and in upper case - for example, ATLANTA, GA.
What is an LCL freight shipping? Why should you consider LCL freight an Economy freight service? In respect of international cargo transportation from the USA by sea, LCL is the abbreviation for the 'Less than Container Load'. In the international freight from the USA by sea, LCL means shipping boxes, crates, and pallets that cannot fill an entire 20 or 40-foot container. I.e., if you do not need and do not want to pay to ship from the USA a whole container as you do with FCL (Full Container Load), then shipping cargo LCL is the most cost-effective way to ship boxes, crates, and pallets from the USA overseas. If you are shipping from the USA a commercial freight, and you shipping cargo in boxes, crates or pallets, and your total shipping volume is considerable small, i.e. does not exceed 15-20 cubic meters (500-800 cubic feet), then there are many benefits for shipping freight LCL instead of shipping from the USA entire containers. If you are shipping from the USA Household Goods or Personal Effects in boxes, crates or pallets, then there are many benefits to use LCL sea freight instead of using service offered by international moving companies. However, to avoid possible confusions, inexperienced, first-time international shippers should read this article about shipping household goods from the USA overseas using LCL Vs. moving from the USA with an international moving company. Shipping sea freight, in comparison with air freight or parcel service, is definitely the cheapest way to ship freight from the USA overseas. Along with the best prices in international shipping, the convenience, and flexibility of the LCL sea freight make it a really reliable and affordable mode of transportation. I.e., you should consider LCL shipping from the USA an economy shipping. If you share a 40-foot sea freight container with other shippers, then YOU PAY ONLY FOR THE SPACE USED IN THE CONTAINER BUT FOR THE ENTIRE CONTAINER. Then, if your cargo is considerably small, it is obviously the best way to ship freight from the USA compared to international shipping FCL freight (Full Container Load). Since cargo vessels capacity, in fact, is not limited by the weight of cargo but by the volume, then typically international LCL freight rates are calculating by volume of cargo in cubic meters or cubic feet but the weight of cargo. Then in general, WEIGHT IN LCL FREIGHT IS NOT A PRICING FACTOR but the overall volume of shipping cargo only. You may find more about dimensional weight in cargo transportation on this website. If you ship freight LCL, then YOU MAY SAVE ON INLAND CARGO TRANSPORTATION. If you self-deliver shipping boxes that can easily fit into your own or rental truck to the nearest to your shipping freight terminal, then you can eliminate inland cargo transportation expenses and decrease your total shipping cost. Domestic inland cargo transportation in the USA is considerably high. Domestic cargo transportation, sometimes, may even exceed the international freight shipping cost itself. Self-deliver your cargo and save on total shipping cost from the USA overseas. Note: In shipping cargo from the USA using LCL freight service, the term 'Ocean Freight' means international cargo transportation between ocean freight carriers shipping freight terminals (called CFSs) in countries of origin and destination. OCEAN FREIGHT IN SHIPPING FROM THE USA DOES NOT INCLUDE COSTS OF PRE-CARRIAGE, ON-CARRIAGE, AND DESTINATION CARGO RECOVERY CHARGES. If you self-deliver your cargo in boxes to a shipping freight terminal, then the shipping freight terminal may palletize your boxes into one or more shipping units. IT IS MUCH EASIER TO HANDLE SMALLER SHIPPING BOXES THAN CARRYING HEAVY, OVERSIZED PALLETS. Besides of the convenience, palletizing of shipping boxes is the safe way to ship freight from the USA. You may palletize smaller shipping boxes and leave bigger units loose. Then you can eliminate extra volume charges in your shipping cost. Find more about palletizing in international cargo transportation in this link. Shipping cargo from the USA that is packed in cardboard boxes complies with ISPM 15 regulations. 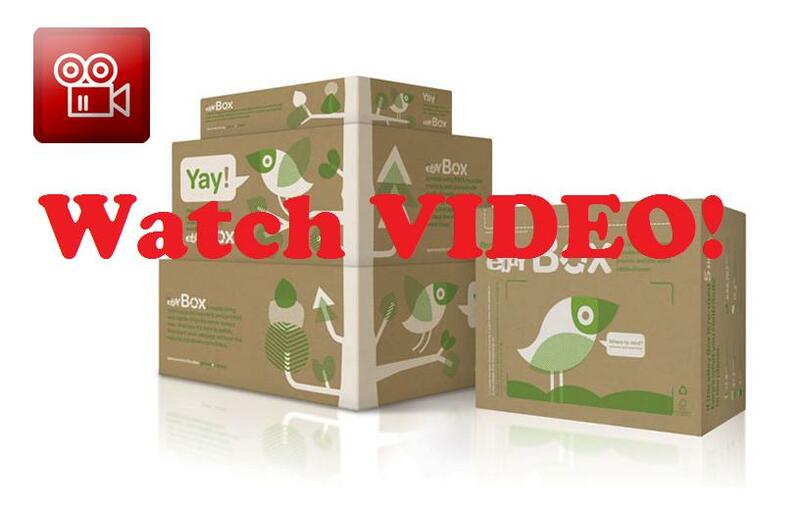 You can purchase cardboard shipping boxes at U-Haul, Walmart, Office Depot, etc. For extra cargo protection, we'd recommend heavy-duty shipping boxes that are widely available online. 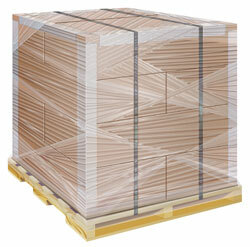 Then you will palletize your cardboard shipping boxes on certified or plastic pallets. If you self-deliver your loose cardboard shipping boxes to an ocean freight shipping terminal (CFS), then the shipping freight terminal should properly palletize and shrink-wrap your shipping boxes for the international shipment. The palletizing fee varies from $35 to $50+ per pallet, depending on a shipping freight terminal. Use this opportunity. Unless you are a professional in international cargo transportation, do not palletize shipping boxes by yourself. Leave the palletizing to professionals. Besides of that loose shipping boxes are much easier to handle during the transformation, you TRANSFER RESPONSIBILITIES ON COMPLIANCE WITH ISPM 15 TO THE SHIPPING FREIGHT TERMINAL (CFS). Then your cargo should not face any problems related to ISPM 15 during the international transformation from the USA.